Irish Film London, now in its ninth year, presents the latest and greatest of Irish Film & Animation to UK audiences. The organisation, whose patrons include Colin Farrell, Lenny Abrahamson and Ros Hubbard, runs events through the year, including the film section of the St. Patrick's Day Festival with the Mayor of London and the annual Irish Film London Awards. Its activities then culminate in the 5 day Irish Film Festival London in November each year. Support for IFL comes, in part from the following organisations: the Irish Film Board, Culture Ireland, the Arts Council of Ireland, the Irish Film Institute, the Department of Foreign Affairs & Trade of Ireland, the Irish Youth Foundation, the Ireland Funds of Great Britain and Film London. Official Calls for Submissions are via the Film Freeway platform, with two calls per year: St. Patrick's Day (Call open approx. Jan-Mid Feb) and the annual Irish Film Festival London (Call open approx. July-Sept). The best way to be notified when submissions are being taken, is to join the Mailing List on the homepage. Each November, in the lead up to the Irish Film Festival London, IFL hosts an awards ceremony in celebration of Irish Film. These awards highlight and reward the talents of a select number of Irish filmmakers, whose work has shown great distinction, originality and passion. IFL are fortunate to have some of our favourite people as our patrons: Colin Farrell, Lenny Abrahamson and Ros Hubbard. 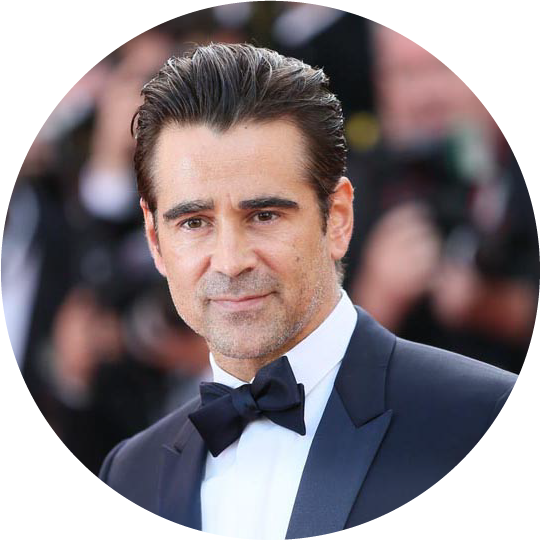 Colin James Farrell, 42, is one of Ireland’s leading actors. Farrell appeared in the BBC drama Ballykissangel in 1998, made his film debut in the Tim Roth-directed drama The War Zone in 1999, and was discovered by Hollywood when Joel Schumacher cast him in the lead role in the war drama Tigerland in 2000. He then starred in Schumacher's psychological thriller Phone Booth (2002), and the American thrillers S.W.A.T. (2003) and The Recruit (2003), establishing his international box-office appeal. During that time, he also appeared in Steven Spielberg's science fiction thriller Minority Report (2002) and as the villain Bullseye in the superhero film Daredevil (2003). After starring in the independent films Intermission (2003) and A Home at the End of the World (2004), Farrell headed Oliver Stone's biopic Alexander (2004) and Terrence Malick's The New World (2005). Roles in Michael Mann's Miami Vice (2006), the adaptation of John Fante's Ask the Dust (2006), and Woody Allen's Cassandra's Dream (2007) followed, underscoring Farrell's popularity among Hollywood writers and directors; however, it was his role in Martin McDonagh's In Bruges (2008) that earned him a Hollywood Foreign Press Association Golden Globe Award for Best Actor – Motion Picture Musical or Comedy. Farrell starred in the black comedy film Horrible Bosses (2011), for which he received critical praise, along with the comedy-horror film Fright Night (2011) and the sci-fi action film Total Recall (2012), both remakes, and McDonagh's second feature, the black comedy crime film Seven Psychopaths (2012). He also starred in the Niels Arden Oplev action film Dead Man Down (2013), and as Travers Goff in the period drama Saving Mr. Banks (2013). In 2014, Farrell starred as Peter Lake in the supernatural fable Winter's Tale, an adaptation of the novel of the same name by Mark Helprin. In 2015, he starred as Detective Ray Velcoro in the second season of HBO's True Detective, and also starred in the film The Lobster, for which he was nominated for his second Golden Globe Award for Best Actor – Motion Picture Musical or Comedy. In 2016, he portrayed Percival Graves in the Harry Potter spin-off film Fantastic Beasts and Where To Find Them. 2017 brought a reunion with Yorgos Lanthimos for the lead in The Killing of a Sacred Deer, which was then followed by The Beguiled and Roman J. Israel, Esq. This year sees Farrell play Tom Mulligan in Widows, directed by Steve McQueen and Holt Farrier in Tim Burton’s Dumbo. 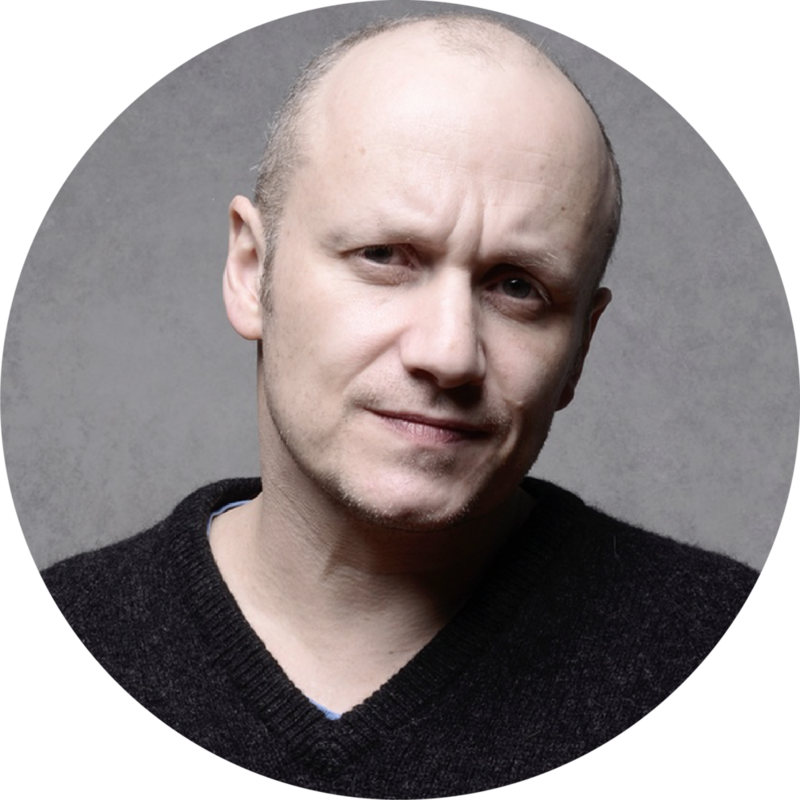 Leonard "Lenny" Abrahamson is an Irish film and television director. Abrahamson is known for his films Adam & Paul (2004), Garage (2007), What Richard Did (2012), Frank (2014) and the multi Oscar-winning Room (2015). Lenny studied physics and philosophy at Trinity College Dublin. While at university he directed short videos with the Trinity Video Society, which he co-founded with Ed Guiney (now of Element Pictures). He graduated in 1991 with first class honours. His first short film, 3 Joes, won the Best European Short Film Award at the 1991 Cork Film Festival and the Organiser's Award at the 1992 Oberhausen Short Film Festival. He directed numerous commercials for television in Ireland, the UK and worldwide before taking the helm on his first feature film, Adam & Paul, a stylised downbeat comedy written by Mark O'Halloran and released in 2004. Adam and Paul won the Best First Feature award at the 2004 Galway Film Fleadh and the Grand Prix at the 2005 Sofia International Film Festival. His second feature film, Garage, another collaboration with writer Mark O' Halloran, was selected for Director's Fortnight at the 2007 Cannes Film Festival and won the CICAE Art and Essai award. The film also won the awards for Best Film, Best Director, Best Script and Best Actor at the 2008 Irish Film and Television Awards (IFTAs). Lenny has also directed for television: his four one-hour TV films for RTE, Prosperity, also won the Best Director for TV award 2008 Irish Film and Television Awards. What Richard Did, his third feature, was released in 2012 to critical acclaim. The film, written by Malcolm Campbell, presents a stark portrait of a privileged Dublin teen whose world unravels with one summer night. What Richard Did premiered at the 2012 Toronto International Film Festival and was also selected for the 2012 BFI London Film Festival. Lenny's fourth feature, Frank, an off-beat comedy about a young wannabe musician starring Michael Fassbender, Maggie Gyllenhaal and Domhnall Gleeson was a hit with critics such as Mark Kermode of the Observer, who listed it in his Top 5 Films of the year in 2014. Room, Lenny's latest film brought Emma Donaghue's book of the same name to the screen. It stars Brie Larson as a woman who has been held captive for seven years, and whose 5-year-old son (Jacob Tremblay) was born in captivity. Their escape allows the boy to experience the outside world for the first time. The film also stars Joan Allen, Sean Bridgers, and William H. Macy. Room premiered at the Telluride Film Festival on 4 September 2015 and had a limited release in the United States on 16 October 2015, to acclaim from critics. Larson won multiple awards for her performance, including the Academy Award for Best Actress, the BAFTA Award, Golden Globe Award, and the Screen Actors Guild Award. Room also received three other Academy Award nominations, including Best Picture and Best Director. Lenny is currently working on his first supernatural thriller, The Little Stranger, written by Lucinda Coxon, based on the novel of same name by Sarah Waters and starring Domhnall Gleeson. Ros Hubbard is a world renowned Casting Director. Ros was born in Ranelagh Dublin and was called after her Mother’s shop in Dunville Avenue. She went to school in Roslyn Park, Sandymount. At 17 years of age she went to Los Angeles, but kept returning back to Dublin as she missed the social life. She worked in J Walter Thompson in New York and again returned to Dublin. She settled in a model agency and learnt all about hard work and never giving up until she had found the right person for the job. She then opened her own agency in partnership with two other girls. There, she made no money but had loads of fun! It was at this time she met John Hubbard, who was working in advertising in Dublin and they married. Together they created Hubbard Casting. They have two children Amy and Dan, both of whom are also casting directors. Between them they have brought several well-known actors to fame, having discovered Jonathan Rhys Meyers, Colin Farrell, Orlando Bloom, Sienna Miller and Kate Winslet. This amazingly talented family has found cast members for international hit films such as The Lord of the Rings, The Hobbit, The Bourne Ultimatum, The Bourne Supremacy, Green Zone, United 93, Evita and the Da Vinci Code. The Hubbard's have also filled many celebrated Irish film and TV sets for features and TV dramas such as The Commitments, Into the West, Father Ted, Best, Bloody Sunday and Angela’s Ashes. Ros and John look forward to the release of Journey’s End, The More You Ignore Me and the BBC production of Little Women. She has been producing lately and has loved being involved with Starfish, which highlights the extreme seriousness of the illness Sepsis. She lives between Dingle, Co. Kerry, in Ireland and London. 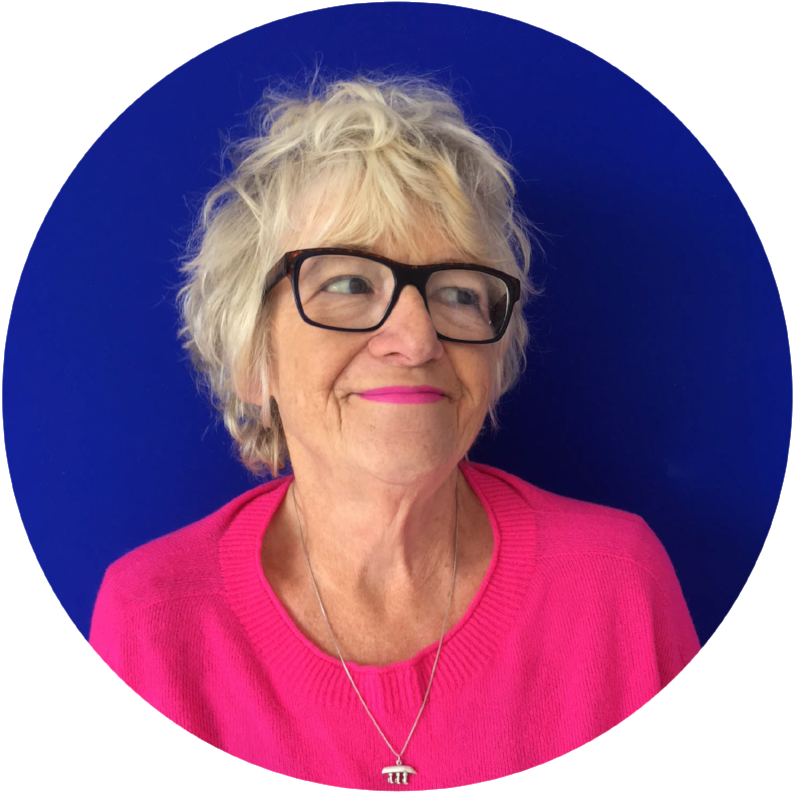 Read more about Ros Hubbard here: www.irishexaminer.comOriginally from Mayo, Angela has lived in London for over 20 years where she has played an active role in London-Irish organisations. She has recently joined IIBN (Irish International Business Network) as Chief Commercial Officer. Prior to that, Angela was Partnerships Director at the award-winning education charity The Brilliant Club; and formerly Key Relationship Manager at GOAL, the international humanitarian organisation. Lance is an Associate Lecturer in Film at Birkbeck, Universtity of London, specializing in the cinema and cultural history of film in Ireland. At Birkbeck he teaches on the MA Screen Writing degree and the BA English Literature programme. His publications include Screening Ireland: Film and TV Representations (2000) and December Bride (2001). He is also the co-editor of ‘Ireland into Film’. Mark moved to London from his hometown of Dublin in 2013. He was Head of UK Business at SSGA, Executive Sponsor of State Street’s UK Pride Network and Chairperson of SSGA’s European Diversity and Inclusion Committee. In 2017 Mark joined JLT, one of the world’s leading providers of insurance, reinsurance and employee benefits related advice, brokerage and associated services, where he leads the Investment Solutions business. Kelly graduated with a First Class Honours degree in Fine Art Video and Sound. She was formerly the Digital Marketing Manager at The Irish World Newspaper and General Manager at the Irish Cultural Centre in London. Since then she has founded Irish Film London, is a Board member of the Women’s Irish Network London and Mayor of London’s St. Patrick’s Community Advisory Board. Kelly has been a short films judge at the Galway Film Fleadh, a guest speaker at the London Film School and is a Hibernian Hero Award nominee. Claire graduated from Trinity College Dublin with First Class Honours Degree and MA in History. Claire began her career as a journalist and producer with The Times, Sky TV and the BBC. She is a former ministerial advisor with the Irish Government responsible for policy development, speechwriting, briefings and successful electoral strategy. Claire is currently a Managing Director at FTI Consulting in the Strategic Communications segment. Having graduated from University College Cork, Sinéad went on to be responsible for the administration of the Finance Committee and the Student Assistance fund for 12 years. Following a stint at National College of Art and Design in Dublin, in 2016 Sinéad became Executive Assistant at Tourism Ireland in London, developing close relationships with tourism industry partners and playing a strategic role in the organisation and sponsorship of events. She has a great interest in Irish film, theatre, arts and culture.